So, as you may or may not be aware, this month has been all about the darkness that is noir novels. No one wants to hear about how many chocolate covered strawberries you plan on eating while your partner whispers sweet nothings into your ear, we want to hear about the latest psycho, bloody and murderous noir book that you’ve purchased and reviewed for #Fahrenbruary, now THAT’S what I call a perfect Valentine’s month. Wouldn’t you agree? Good morning to you all, unless it’s evening in which case good evening to you all, unless it’s night-time in which case a good night to you all. No, wait, I didn’t mean good night as in goodnight, good night. Put that Horlicks away and take those pyjamas off right now! Ewww, no, on second thoughts, put those pyjamas back on again, tooty sweety. No-one needs to see that no matter what time of day it may be where you are. Although you can take them off ag…. no! Best not… *whispers* call me! Okay, let’s start this again shall we? 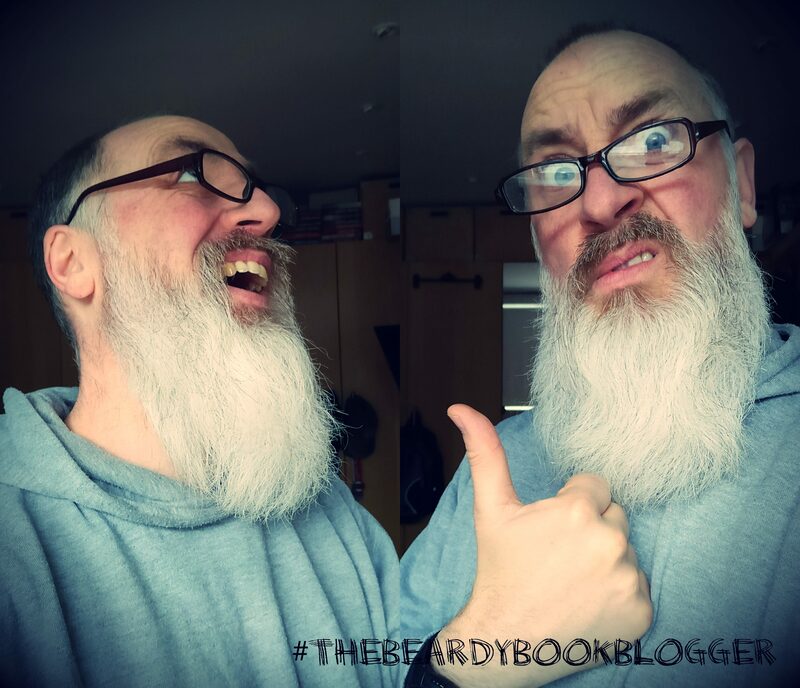 Hellooooooo and welcome to The Beardy Book Blogger. If this is your first time here I welcome you with a warm beard and an even warmer heart. Please feel free to look around and see stuff; mi blog es su blog 😃 If you have been here before then I am very grateful that you have returned. I wasn’t too sure that you would, if I’m honest. Haha, one can never be too sure about these things now, can one! So, what delights do I have for you today, I hear you ask? Well, firstly, thank you for asking and, secondly, let me enlighten you. You’re back? Hurrah and so forth and so fifth. Where were we? Oh yes, why are you here? Well, today I present to you a magnificent Q&A with one of my very favourite authors Derek Farrell. Derek is the creator and author of the Danny Bird Mysteries series of books (Death Of A Diva/Nobody/Devil and the soon to be released Death Of An Angel), published by Fahrenheit Press. Intrigued? Well, I should bally well hope so too. So, patient reader, read on and discover what inspired Derek to create Danny Bird, what his favourite biscuit or cake are, and what type of sheets he has on his bed. Way-heeeeeyyyyy and welcome to the hairiest book blog this side of Yetisville, where, I am led to believe, there is an even hairier book blogger. Mind you, Yetis are not really known for their literacy and reading skills so I don’t think I have anything to worry about. But, in the spirit of inclusiveness, I wish them all the very best. Today is the 14th day of #Fahrenbruary which just happens to be Valentine’s Day, or Fahrentine’s Day, if you will. Now, Beardy Fact Fans, Fahrenbruary (or, to give it its old, boring name, February), is also LGBT History Month; a month long series of events that looks at the history of, promotes awareness of and acceptance towards, the LGBT community. It is also a celebration of all things Lesbian, Gay, Bisexual and Transgender, with events up, down and across the country, in schools, colleges, Universities, libraries, the local bakers, the putting green, roller rink, jumble sales, tiddly-winks tournaments, retirement homes; you name it it’s there, anywhere and everywhere. In this spirit, Derek has written a post where he discusses his favourite Queer Crime reads, and his reasons for choosing them. There’s some great sounding books and authors in here, none of which, I’m ashamed to say, I have read (though I do have Patricia Highsmith’s “The Talented Mr Ripley” on my shelf as I love the film and the book was begging me to buy it in my local bookshop. Would’ve been rude not too, wouldn’t it?). I will hang my beard in shame, but after reading Derek’s post I fully intend to look into these further and I shall lift my beard once more. Anyway, that’s quite enough of my prattling and general guffery. So, without further ado, or further adon’t, I’ll hand over to Derek. “Danny Bird is having a very bad day. In the space of just a few hours he lost his job, his partner and his home.